I can’t resist posting another image from the "Wonder" exhibit at the Renwick, the venerable museum near the White House. Gabriele Dawe's "Plexus A1" conjures a rainbow out of colored threads that have been stretched like the warp of a rug Standing in a corner, I watched visitors half disappear into the rainbow, as if they have become submerged in it. 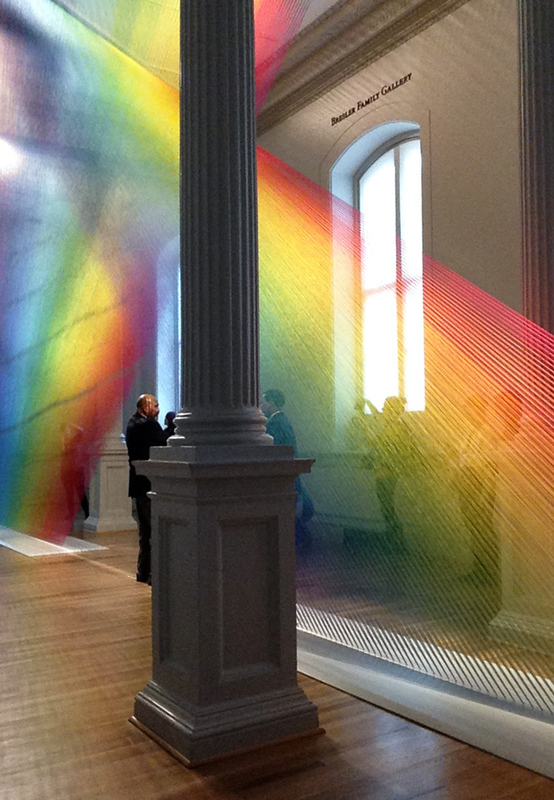 This installation first calls forth all those cliches about chasing rainbows or never finding the end of the rainbow, even tasting that Skittles-flavored rainbow. But then, if you spend some time really looking, this artwork replaces those cliches with the possibility of actually being part of the rainbow. Try it yourself, any time between now and July 10, 2016.